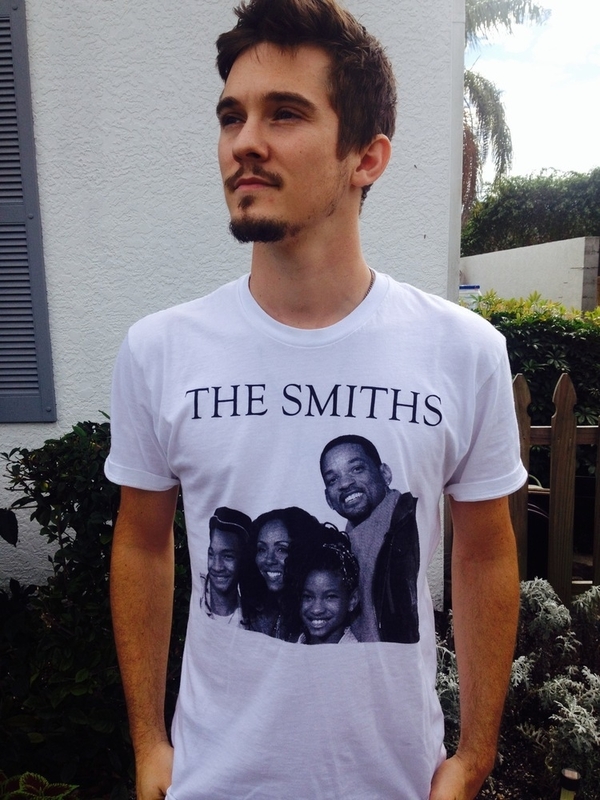 Vor kurzem schaffte es Chris Farren mit seinem alternativen „The Smiths“-Shirt auf zahlreiche Facebook-Newsfeeds, Imgur und Reddit. Wenn Chris nicht gerade damit beschäftigt ist, Shirts zu gestalten / zu inspirieren, Twitter-Trends zu starten oder Bandnamen für andere zu erfinden (das Evan Weiss-Projekt Pet Symmetry verdankt ihm den Namen), bildet er zusammen mit Derek Perry und Sean Stevenson die Beach-Punk-Band Fake Problems. Fake Problems (von Fans und Band auch liebevoll „Fakey Ps“ genannt) gehören mittlerweile schon fast zur Standard-Ausstattung vom „Fest“ in Gainesville. In diesem Jahr kommt voraussichtlich der langersehnte Nachfolger des 2010er Albums „Real Ghosts On Tape“. Wir haben Chris unseren kleinen Fragebogen in die Hand gedrückt und lassen uns von ihm seine Heimatstadt, das Küstenstädtchen Naples in Florida, näher bringen. Since when do you live in Naples? I’ve lived here since I was seven years old, so about twenty years now. What should everyone know about Naples? Naples is primarily a snowbird haven, much of the population dividing their time between here and some northern state. This can make for a busy and eventful fall/winter, and a boring, heat drenched spring/summer. From my experience, the whole city revolves around the snowbirds and the retirement community. The most thriving careers are those of real estate, finance management and hospitality. Being a musician, there’s something to be desired in the community. There’s plenty of bars with open mics and cover bands playing everywhere, every night – but there is a pretty steep lack of original music. There are a few bands that pop up here and there, but it’s been a long time since there was any sort of independent punk music community here. From my perspective at least. There are young kids and punks here, but not enough shows. What is the greatest thing about living in Naples? I guess someone would say the weather. Most of the time it’s around 75-80 degrees. I’m kind of over it though. I enjoy the cold, the snow, the changing seasons. I like my friends who live here. Most of the people I know here are pretty cool. I think sometimes it is destroying me and my music. I’ve lived here for too long and nothing is really too inspiring about this place to me anymore. But like I said I have a lot of people I really love here, and they inspire me and keep me from going too insane. Whats your favourite venue to play in Naples? Fake Problems kind of bounces around venues. There have been a few bars we’ve played some shows at but nothing really stands out. Not an ideal venue per say, but there is a lot of history attached to this community park “Fleischmann Park”. We played some of our first shows as a band there, and is where we became friends with a lot of touring bands we still tour with today. Do you have a favourite song or movie about Naples? I don’t really know of any movies about Naples. I know Naples was in an episode of the X-Files once. I can’t think of any songs about Naples besides ones I have written. If you would not live in Naples, which city would be your favourite to live in? Why? New York, LA, Chicago, Toronto… any of those sound good to me. More stuff to do! What would be a perfect slogan for Naples? There’s a visitor’s television channel here that plays this old commercial from the early 90’s. “Naples, a little bit of Paradise”. I think that can ring true for a lot of people here, and that’s good.